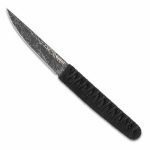 The CRKT Obake Fixed Blade Knife isn't looking for work, but it shows up looking like a boss when it's time to get a job done. 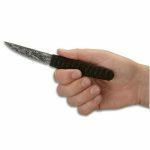 The CRKT Obake fixed blade knife by Lucas Burnley is bold, and it’s a throwback to a classic Japanese Kwaiken design that’s ready to throw down, if trouble turns up. 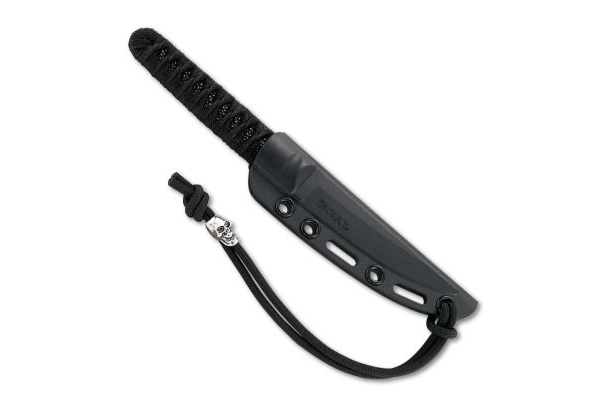 This small fixed blade knife comes with a sturdy belt carry system and hardware that attaches to the grommets on the sheath. 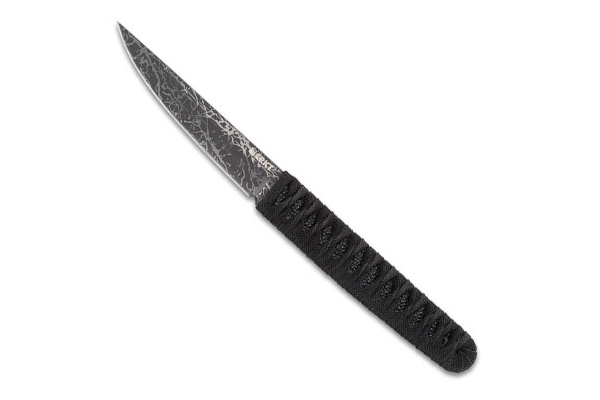 The distinctive blade of this full tang fixed blade knife has a gray titanium nitride finish that is acid etched to give it a unique pattern that will be exclusive to each fortunate owner. 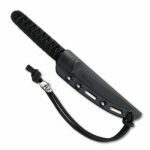 The handle has a katana style nylon cord wrap over a black faux ray skin. 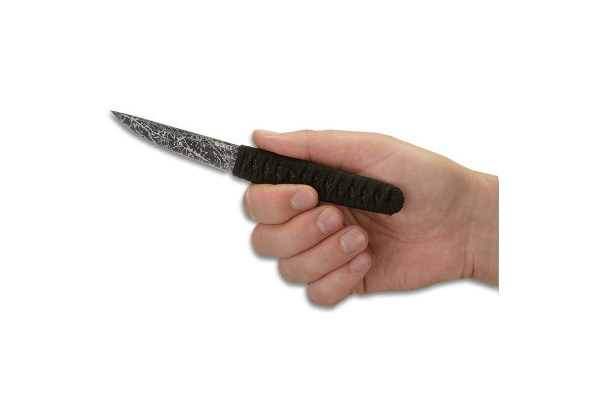 The sheath of the Obake is made from glass filled nylon that will give consistent retention even in hot environments. 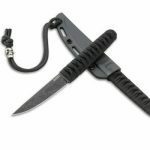 A paracord lanyard on the sheath is designed to attach to your belt loop and keep the sheath in place when you deploy the knife. 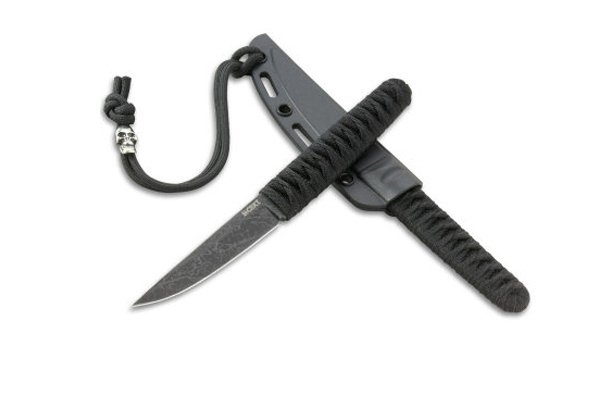 A skull bead adds a not-so-subtle accent to the paracord lanyard.